This 35 acre property in Independence County between Cave City and Batesville. With road frontage on Weaver Chapel and Echo Lane. 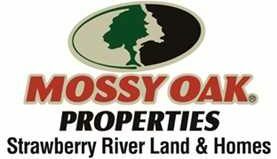 This property has mixed use recreational, bird watching, ATV trails,whitetail deer and turkey. Tons of potential with house places with a million dollar views!!! MOP Address: Weaver Chapel Rd.